There's just something about the 8-bit and 16-bit eras of gaming. Even after decades, it's still a remarkable and enduring period that's managed to stand the test of time. With a slick focus on charming visuals and deeply refined gameplay, the classics of the time are still played today. And, with a sizable amount of fans clamoring for the return of such titles, it's easy to see why the endearing nature of 2D games holds strong. Honestly, games just felt more pure back then, and it looks as though some devs are looking to emulate the example set by games from the past. Originally created as a quick title for GameJam 2014, the developers at Tree Fortress found something special about this peculiar T-Rex wearing jet boots, and decided to flesh it out into a fully featured title. 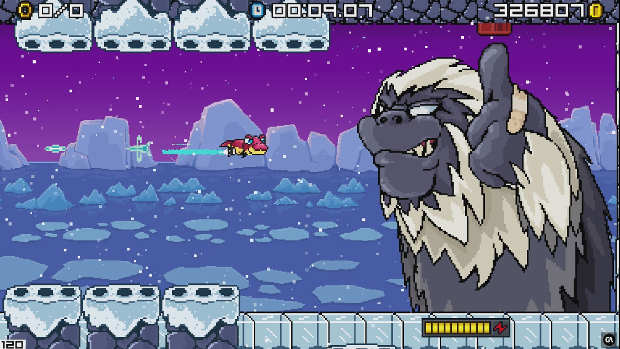 Taking inspiration from classic games like Mega Man and Sonic, the talent behind JumpJet Rex wanted to offer players a new 2D platformer that's not only goofy fun, but also tough as nails. 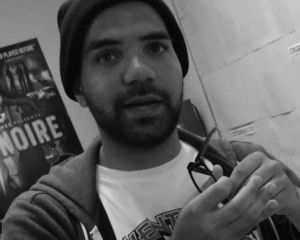 "I always refer to it as the 'golden age of gaming,'" said Tree Fortress CEO Grant Skinner while discussing the team's influences. There is a clear respect for the 8-bit and 16-bit era in JumpJet Rex, and the developers wanted their take on an old-school 2D platformer to keep with the style and design of the period. During Early Access, which will feature the first dozen stages, they plan to keep a close eye on the community's reactions, which they see as a key part of the title's success. Taking control of the titular space exploring dinosaur, players will travel through the galaxy visiting unique planets that feature their own challenges and scenarios to tackle. With his jet boots, Rex will be able to hover, dash, and boost through stages while collecting coins and dodging obstacles. Along the way, Rex will encounter baddies and other nefarious foes that'll task players to use quick thinking and clever use of the jets to get the best of them. And, depending on performance, stars are acquired which unlock new planets to explore. "I have a lot of respect for the early '90s," said lead designer Shawn Blais. "They really had a refined mastery of platforming in 2D games." Much like titles in the vein of Mega Man and classic Sonic, JumpJet Rex features a simple control scheme that is easy to get into, but difficult to master. While the early planets were rather elementary, the difficulty quickly ramped up as the environments and enemies became more devious. As the jet boots also work as a weapon which fire blasts of energy toward enemies and boost Rex at high-speed, platforming skills are the player's greatest asset. To further add to the challenge, some planets feature secret rooms that yield great rewards but will lock the player out upon death. Though its love of the period is evident, the developers were keen to show off features that are common place in modern games. Taking inspiration from the community's interaction and sharing of content on their previous game, the folks at Tree Fortress implemented an extensive level of customization and co-op features. 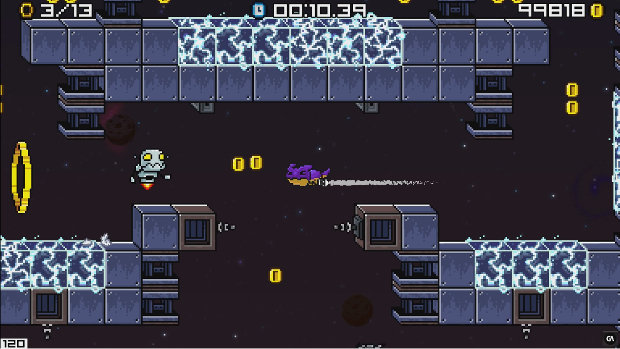 Players can compete against the ghosts of others in stages for the best times or work together in co-op to conquer challenging planets that will put anyone's jumpjet skills to the test. With every coin collected, players can purchase new outfits for their character and decorate their home base with knick-knacks and other oddities. Many of the outfits and designs are clever nods to classic 2D titles, and with over three-million unique combinations, the devs hope that players will share their designs and outfits for others to see. In addition to customization options, there are also plans to offer challenges to the streaming community with the upcoming (and appropriately named) Ragequit Rex mode. In it, players are given only three lives and must complete the entire game (over 40 stages in the final release) without checkpoints. After its Early Access launch, the developers plan to gradually release more content and modes until its official release. After that, Treehouse anticipates a slew of post-launch updates. One feature the devs were excited to talk about is Arena mode, which pits players against each other a la Smash Bros. Moreover, holiday themed content packs are also in the cards as well. Even though titles that seek to relive the early period of gaming are increasingly more common, JumpJet Rex does an admirable job of blending the best of old and new. To see a throwback title implement online modes and other neat customization options is really special. I had a blast during my time with it, and if you're one that's missing the style and design of old-school platformers, then you might want to keep this one on your radar.